In this critically acclaimed novel, Harry Rent finds himself young and single and lost after the passing of his wife. Although numbed by his life's unexpected turn, Harry becomes fixated on Molly, an obsidian-haired, twenty-two-year-old waitress. Meanwhile, Harry is forced to fend off Clare, his sister-in-law, who is convinced that Harry is somehow responsible for her sister's untimely death. 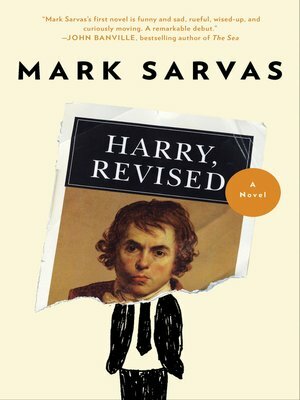 At once deeply moving and darkly comedic, Harry, Revised is an extraordinary novel about the measure of a man's worth by a wonderful, emerging talent. "Compact, elegantly paced, and pleasingly understated. "—Chicago Tribune Mark Sarvas is the founder of the popular litblog, "The Elegant Variation," which Forbes and Entertainment Weekly have named as one of the best blogs on the web. This is his first novel. He lives in Los Angeles.